China: is national greatness deep rooted, or proximal? A recommendation from The Scholar’s Stage has finally pushed me to complete Imperial China 900–1800, a book which I first began reading over ten years ago. 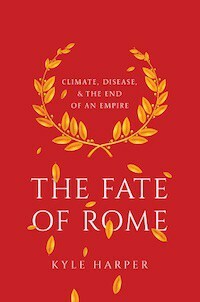 Like The Fall of Rome: And the End of Civilization this may be a work I read again and again. 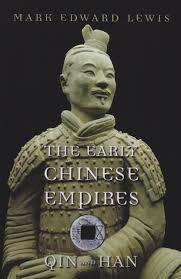 Unlike The Fall of Rome Imperial China is not tightly argued. There is no argument, just narrative and exposition. It is not a short treatise purporting to “explain,” it is a magnum opus “describing” (in this it is similar to A History of Byzantine State and Society). The author, F. W. Mole, is clearly a scholar of deep learning. He doesn’t “front” with puffy theory and lexical flourish. He knows things. Many things. Imperial China was the summation of his learning. Decades of the accretion of insights. Because I have read a fair amount of Chinese history reading Imperial China has illuminated some phenomena that had earlier eluded me in terms of their causal roots. During the Tang dynasty, and again during the Yuan (Mongol) period, people of Central Asian provenance had a despised but critical role in Chinese society. During the Tang period, Central Asian Sogdians were renowned and reviled as money-lenders and merchants. During the Yuan period, Central Asians were administrative bureaucrats who dominated the civilian officialdom of the Chinese state (this, due to Mongol favoritism in a land where the Han were a recently conquered overwhelming majority). This is a deviation from the norm in Chinese history. 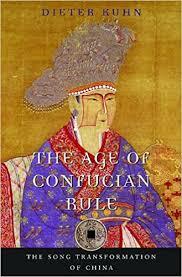 Civilian rule in China was often delegated to learned scholars, usually stepped in Confucian classics. The trend began during the Han dynasty. During the Sui-Tang dynasty, the prominence of aristocratic factions attenuated the role of gentry officials, but the arc of history bent toward meritocracy, and so it revived with much greater vigor during the Song dynasty. Motte notes that one reason the Central Asians may have been reviled so is that they practiced a West Asian tradition of revenue extraction which was at variance with Chinese norms. Basically, the Central Asians were “tax farming.” In ancient Rome, this practice was severely criticized. The contrast here is with a long and robust tradition within orthodox Confucianism that the role of the state and the official class was to foster prosperity by minimizing tax burdens on the populace, not extract resources for their own enrichment. 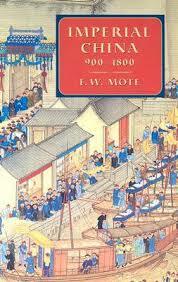 Obviously the Chinese have a long history of corruption, self-dealing, and the emergence of local petty tyrants. But the ideal, and a repeated trend in behavior among many scholar-officials across history is toward service to the state in the interests of the collective well-being and as well as the extolling of individual virtue. Glory did not go to god or the state, but the people. This is why I have joked that Confucianism really pioneered Fusionism 2,000 years ago. 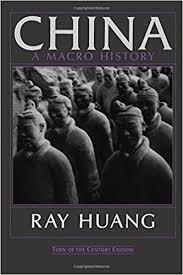 Though drawing straight-line inferences from history is a fool’s game, I have started to wonder if China’s timeless absorptive capacity due to its resilience and continuity can tell us something about its trajectory in the 21st century. I am well aware of the reality that demographics are not on its side (China’s working age population is shrinking). Ignoring this for a moment, let us take seriously the proposition that China is fundamentally bound together by something culturally ineffable, and deeply reflects the Confucian mores that have waxed and waned for 2,000 years. To not put too fine a point on it many perceive, correctly, an amoral rapacity in the modern quasi-Communist Chinese people. Some of my friends are not very optimistic about the Chinese, after having worked with them in a professional capacity. They find both their proximate moral character and ultimate vision lacking. And yet for thousands of years, the Chinese maintained a cultural and civilizational identity which was extremely robust. 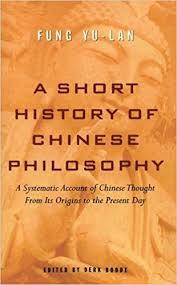 When introduced to the foreign religion of Buddhism, China made it its own. 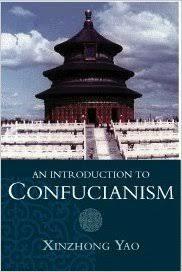 In fact, Buddhist concepts and institutional structures reshaped religious Daoism. Cults like Christianity, Islam, and Manichaeanism have all entered China, and been transmuted, or appropriated. There is obviously a Chinese sense of self that is rooted in history, in cultural memory, but oftentimes these ethnocultural entities also transmit tacit and informal folkways. It is certainly true that the scholar-officials of the Chinese bureaucratic class were not always well prepared for some of the exigencies which they were confronted with. Brittle, often hidebound, bureaucrats were often stuck at a “local optimum.” But over the long-term historically they have adapted, integrating some of the metaphysical insights of Buddhism into Neo-Confucianism most prominently, as well as adapting the Chinese imperial system to an explicitly and self-consciously non-Han ruling caste such as the Manchus. Social disorder in China historically can have tragic consequences. The Taiping Rebellion in the 19th century resulted in the death of tens of millions. And yet China has persisted for 2,000 years as a unitary state, on and off. Its cultural and social fiber has roots into a deeper past, during the declining years of the Zhou during the first millennium before the birth of Christ. What Imperial China illustrates is that Chinese civilization had particular and locally contingent resources which allowed for the flourishing of a relatively well-ordered administrative state less contingent on tribal asabbiya necessary in West Asian polities. In short, if “Confucian civilization” is a thing, I’m somewhat more optimistic about 25% of our species over the next few decades. – Chinese civilization as more absorbing only because the bulk movements of people and diversity of cultural practice and identity were just lesser than in the Western oikumene. (Hard to avoid my own cultural bias, but Latin civilization seems diverse in a way the Han Dynasty wasn’t, for a late example. A Chinese monolith might be more absorbing than a Latin identity that was more patchwork and laissez-faire in cultural practices?). – Confucian civilization as relatively anti-military simply because compared to the population of the empire, the Chinese faced relative few (if intense) external military threats on a very specific steppe border, and were keenly aware of huge death tolls from disastrous civil war and eras of warlords in dynastic downswing. (Contra, perpetual civil war in Japan seguing more closely into a multi-polar international imperialist system with highly military European states, with the peace of Edo as a fortuitous window to develop the economy). – Confucian bureaucrats favoring low taxes because, on the one hand most spending pre-modern was military, and on the other as a pretty gloss on both a simultaneous lack of capability to extract taxes from the landlord-gentry without offering direct accountability and representation, and of class collusion between the scholar-gentry and the landlord-gentry they were drawn from. Those same gentry, as a class, had fewer compunctions about high rental values moving income from the mass of “the people” to a narrow rentier class after all. Further, if ideas of long term low real wage economy in China are right, less surplus value above subsistence to extract from peasants as taxes (without them dying, and mass revolt and loss of income), once landlord class got its cut. A foreign Central Asian bureaucratic elite, unaligned with the gentry, may have had fewer compunctions about raiding and reducing the fine private wealth of the rentier class to fund both public works and salaries. From that perspective (which may well be wrong), continuation of any of those cultural trends probably needs continuation of the same conditions, and isn’t really endogenous from ideas. I guess as a a tangent on mention of fusionism, in some sense, the different economic base to me limits parallels to left-right culture wars today. Left today largely sees the state as fighting on the behalf of individuals and minorities against powerful corporations and oppressive majorities. This requires an urban economy fostering an ethic of diversity and individualism that couldn’t exist in agrarian China, and responds to powerful private enterprises which weren’t possible within China’s economic constraints. The right largely seeks to restrain the state’s scope to avoid incrementalist capture of society by authoritarian left wing utopianists. Such a powerful, all reaching “Weberian” state perhaps wouldn’t be possible, or sustainable, on tax levels that could be extracted in pre-modern China! “To not put too fine a point on it many perceive, correctly, an amoral rapacity in the modern quasi-Communist Chinese people. Some of my friends are not very optimistic about the Chinese, after having worked with them in a professional capacity. They find both their proximate moral character and ultimate vision lacking. I (an ex-Soviet) have found that socialism has a corrosive effect on societal norms. I believe this has to do with the cognitive dissonance between the official quasi-morality of social solidarity and the reality on the ground – where people are scrambling to feed their families. I have noticed that the common result is amorality. Good summary! To me, the most striking divergence between the two uber-civilizations, Chinese being one and Eurasian being the other, is how defensive China is and how offensive Eurasia is. Look at the spread of Eurasian culture and institutions: wheat, barley, cattle, horses, sheep, alphabetic writing, Christianity, Islam, constitutional republics, joint stock companies, strong merchant class (outside of the Marxist tradition), the ideal of truth > harmony, the ideal of guilt + forgiveness > face + shame, etc. These things span a huge swath the globe from Cape Town to Kamchatka. The Chinese institutions… not so much, very concentrated on East Asia despite China’s historical largesse. Genus Oryza = rice. First domesticated Shangshan, China, 10k years ago. You’ve got your ancestral paddy, and there you must remain. Highly non-portable sustenance, must accomodate strongmen, no easy fleeing to start over at some other ground. At ontological base, rice farmers expect no ecstatic release from given life-paddy. Make peace with What Is. A culture-nation of millenially internalized Epictetuses. There’s a simple tenacious nobility in that. Social disorder in China historically can have tragic consequences. The Taiping Rebellion in the 19th century resulted in the death of tens of millions. And yet China has persisted for 2,000 years as a unitary state, on and off. Highly-organized and complex material civilizations are surprisingly brittle in times of a sudden shock/stress. Cut off power, water, sanitation, and transportation to a large section of the United States and you will likely see mass die-offs in short time. 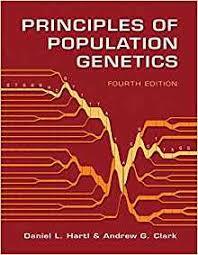 On other hand, such a civilization usually has a very robust culture that is likely to persist in some recognizable form even after a significant reduction in population. Without an external invasion and population replacement, it would recover its former glory.